Traxxas Drops Hot New Gear At SEMA « Big Squid RC – RC Car and Truck News, Reviews, Videos, and More! 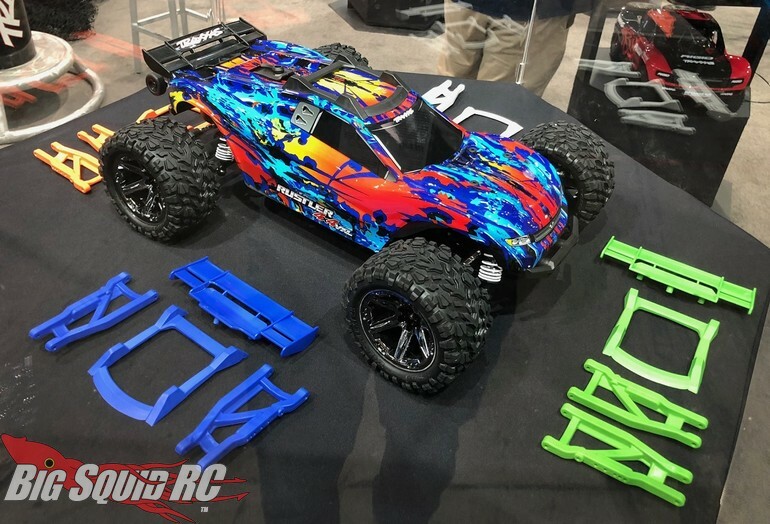 The crew at Traxxas have been supporting the SEMA Show for a decade now, and this year they are showing off a bunch of cool new products. First up is the new fully licensed Chevrolet Corvette Z06 Body (shown above) for the 4-TEC 2.0. 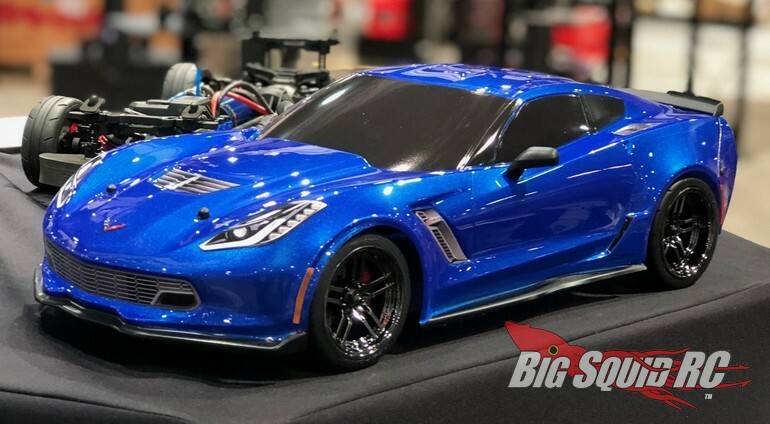 The Corvette body has been faithfully reproduced by Traxxas to give you a gorgeous new option to put on your on-road cars. Traxxas had previous teased a new Cadillac CTS-V Body and it is also being shown at SEMA. 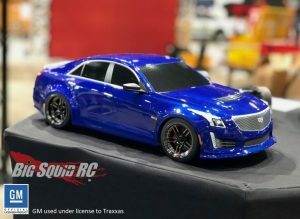 The Cadillac sports some serious scale detailing and should look awesome while bashing out on your local streets. 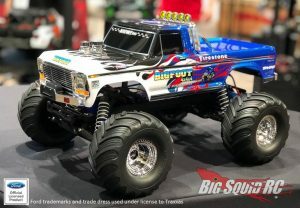 Also new for SEMA from Traxxas is new livery for their incredibly popular BIGFOOT No. 1 monster truck. Being shown at SEMA for the first time is a new Flame Paint Body for the original BIGFOOT. The folks at Traxxas have been teasing some new scale accessories for the TRX-4 Sport, and now they are on display at SEMA. As you can see by the picture, the Traxxas crew have a number of scale accessories that look perfect on the TRX-4 Sport. Also getting the upgrade treatment is the Rustler 4×4. 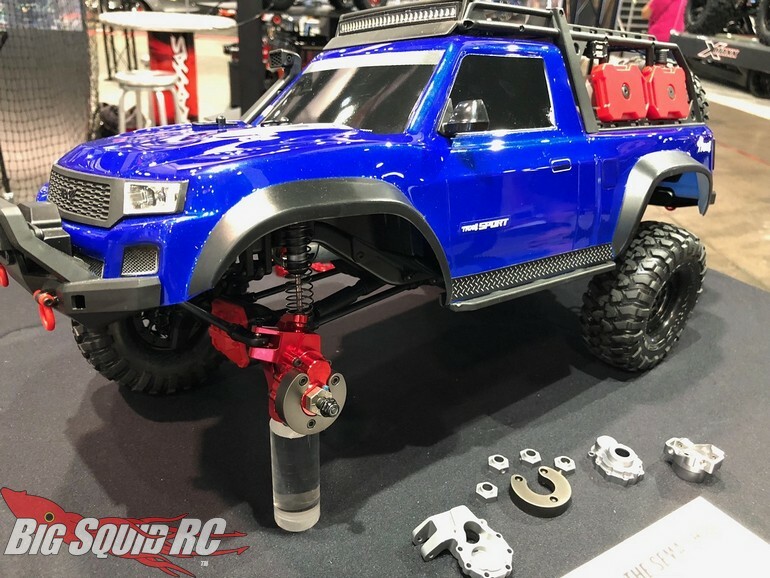 At the SEMA Show 2018 Traxxas is showing off a Full Line Of Color Option Parts just for the Rustler 4×4. Traxxas will soon offer new colored a-arms, wing, and other parts in a variety of popular colors. As pricing and other details become available we will post them up, until then you can hit up this link to get more details on New Traxxas Products At SEMA over on the official Traxxas website. Hit up this link for more Traxxas News on BigSquidRC.